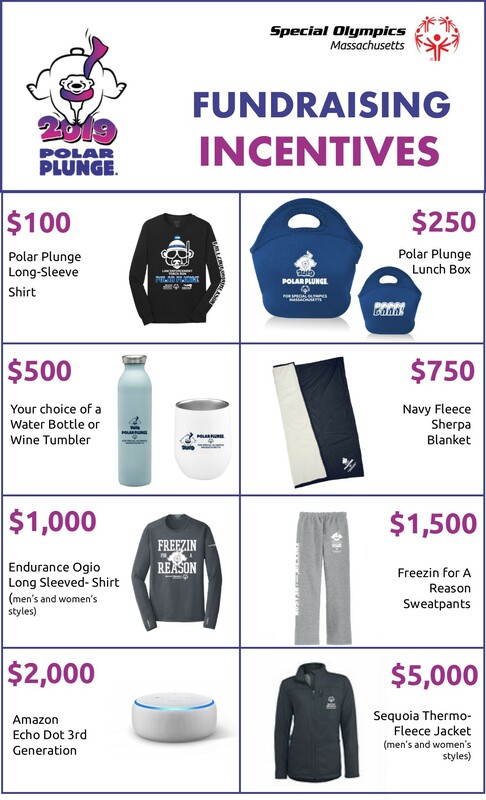 The 2019 Polar Plunge incentives are finally here! Which one will you get? As a reminder, everyone who raises $100 will get their long sleeve plunge t-shirt on the day of their plunge. Incentives come after the plunge, and you will receive more information about when you can choose your incentive by email. *Please note that you can only receive one incentive outside of the t-shirt. So, if you raise $1,000, you can choose between the Ogio Endurance Shirt, blanket, drinkware, or lunchbox, but not all four.